Spring Week Challenge Winner! - Pebbles, Inc.
Hi everyone! I really hope you’ve enjoyed this week on the Pebbles blog. Our design team members have put together some really fabulous projects to inspire you – thank you ladies! 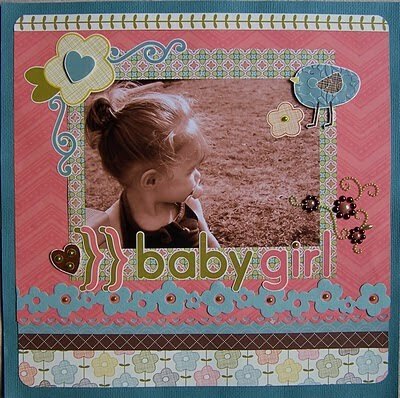 And speaking of fabulous take a look at this adorable spring themed layout from our lucky challenge winner Beth. How sweet is this layout she put together using our Lil Miss collection? So cute! Thank you Beth for playing along! Beth please send your mailing information to pebblesinc(at)americancrafts(dot)com and write “Spring Week Challenge Winner” in the subject. You’ll definitely want to check out the blog next week as our design team members have created lots of Easter themed projects to get your creativity “hopping” – see you then! Beth that is just beautiful! Congrats on being the challenge winner Beth! Terrific LO! Oh my gosh!! I’m so excited!!! THANK YOU so much Pebbles, Inc. for having a great challenge! I love Spring & I love Pebbles Inc too! My info is on it’s way! What a beautiful layout! Thanks for playing along Beth. Enjoy your goodies. Congrats Beth ! your layout is just beautiful ! !